American sculptor Alexander Calder was a radical figure who pioneered kinetic sculpture, bringing movement to static objects. Calder travelled to Paris in the 1920s, having originally trained as an engineer, and by 1931 he had invented the mobile, a term coined by Duchamp to describe Calder’s sculptures which moved of their own accord. His dynamic works brought to life the avant-garde’s fascination with movement, and brought sculpture into the fourth dimension. 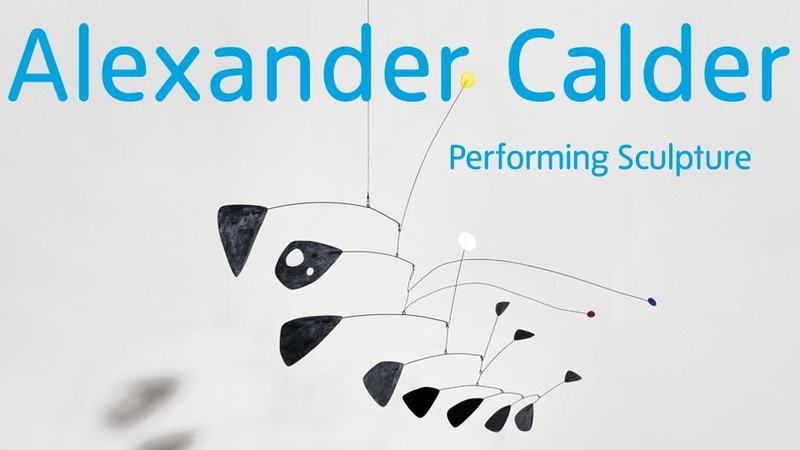 Continuing Tate Modern’s acclaimed reassessments of key figures in modernism, Alexander Calder: Performing Sculpture will reveal how motion, performance and theatricality underpinned his practice. It will bring together major works from museums around the world, as well as showcasing his collaborative projects in the fields of film, theatre, music and dance. This entry was posted in Fashion & Textile Design and tagged Alexander Calder, Exhibition, Sculpture, Tate Modern, Winchester School of Art by Caitlin Hinshelwood. Bookmark the permalink.